– Chiedozie Egesi, a would-have-been surgeon who switched sides to biology and crop genetics, and who got acquainted with GCP through the Internet. Backdrop: A booming economy and a wealth of natural resources may be among some of the common preconceptions of the average Jane and Joe regarding Africa’s most populous nation. Lamentably, however, Nigeria, like numerous robust economies worldwide, is still finding its feet in addressing severe inequality and ensuring that the nation’s wealth also flows to the poorest and most marginalised communities. For this gifted and socially conscious young man, however, the seemingly bleak picture only served to ignite a fierce determination and motivation to act: “Despite the social injustice around me, I always thought there was opportunity to improve people’s lives.” And thus, galvanised by the plight of the Nigerian smallholder, plans for a career in medical surgery were promptly shelved, and traded for biological sciences and a PhD in crop genetics, a course he interspersed with training stints at USA’s Cornell University and the University of Washington, Seattle, along the way, before returning to the motherland to accept a job as head of the cassava breeding team, and – following a promotion in 2010 – Assistant Director of the Biotechnology Department, at NRCRI. As evident from the burgeoning treasure chest of research gems to his name, it was a professional detour which paid off, and which continues to bear fruit today. 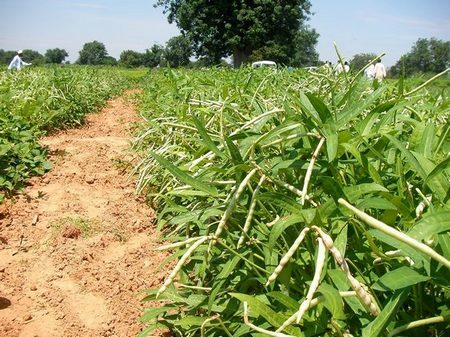 In 2010, work by Chiedozie and his NRCRI team resulted in the official release of Africa’s first molecular-bred cassava variety which was both disease-resistant and highly nutritious – an act they followed in 2012 with the release of a high-starch molecular-bred variety. 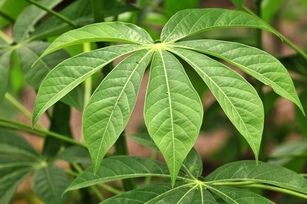 The team’s astute navigation of molecular markers resulted in breeding Latin American cassava varieties resistant to cassava mosaic disease (CMD), leading to the release of CMD-resistant cassava varieties in the African continent for the first time. 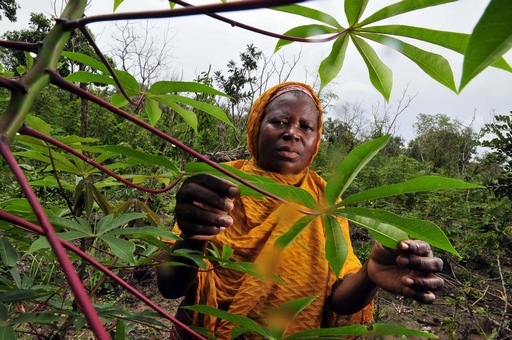 Genetic maps intended to enhance breeding accuracy for cassava – the first of their kind for the crop in Africa – have been produced, and quantitative trait loci (QTLs) for cassava breeding are in the making. 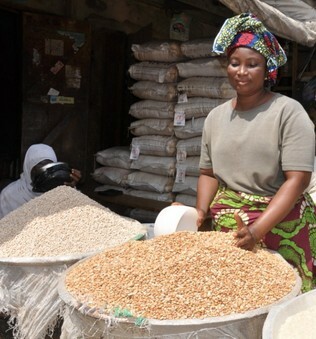 In 2011, the team, together with their partners at the International Institute of Tropical Agriculture (IITA) and HarvestPlus (a CGIAR Challenge Programme), released three pro-vitamin A-rich varieties of cassava, which hold the potential to provide children under five and women of reproductive age with up to 25 percent of their daily vitamin A allowance – a figure Chiedozie and his team are now ambitiously striving to increase to 50 percent. 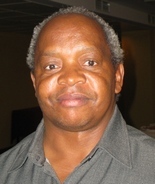 Having first stumbled across the GCP website by chance when casually surfing the internet one day in a cyber café back in 2004, Chiedozie’s attention was caught by an announcement for a plant breeders’ training course in South Africa, an opportunity which he applied for on the off chance…and for which, hey presto!, he was accepted! Thus, his GCP ‘adventure’ began! 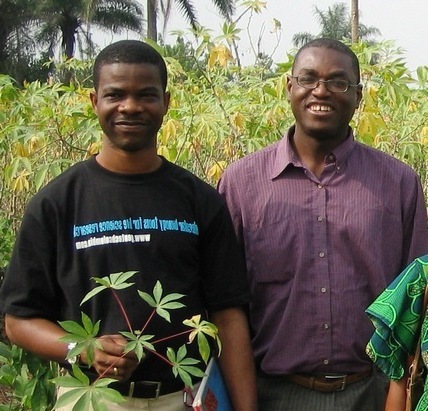 Chiedozie Egesi (left) and Emmanuel Okogbenin (right) in a cassava field. Promptly revealing an exceptional craftsmanship for all things cassava, Chiedozie soon became engaged in subsequent opportunities, including a one-year GCP fellowship at the International Centre for Tropical Agriculture (CIAT) in Colombia, a number of GCP Capacity building à la carte-facilitated projects, and, more recently, a major role as a Principal Investigator in the GCP Cassava Research Initiative (RI), teaming up with NRCRI colleague and Cassava RI Product Delivery Coordinator, Emmanuel Okogbenin. 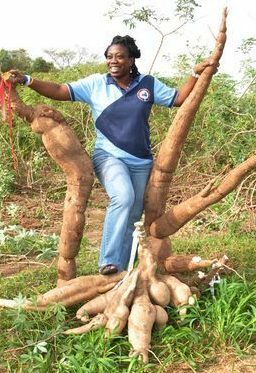 The Cassava RI is where Chiedozie’s energies are primarily invested at present, with improving and deploying markers for biotic stresses in cassava being the name of the game. 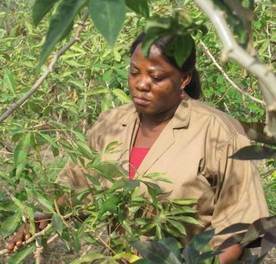 Strength in numbers, Chiedozie says, is a vital lifeline for cassava, a crop which has suffered years of financial neglect. As such, a real deal-breaker in Chiedozie’s eyes is the facilitation of self-empowerment amongst national programmes, and the new avenues unfolding, thanks to his involvement in the GCP cassava breeding Community of Practice (CoP), for enhanced collaboration at the local, national and regional level: “We now have a network of cassava breeders that you can count on and relate with in different countries. 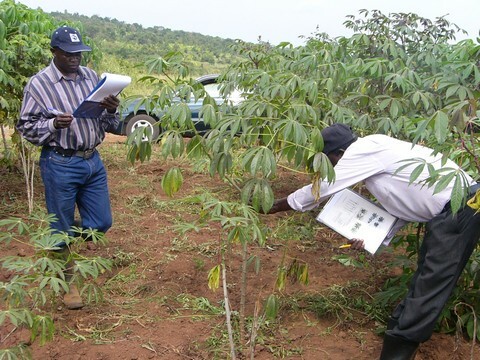 This has really widened our horizons and also made work more visible,” he offers, citing effective links formed with Ghana, Sierra Leone, Liberia, Mozambique, Malawi and Côte d’Ivoire, amongst several other cassava-breeding neighbours near and far. The achievements amongst this mushrooming community are, he stresses, unprecedented: “Participation in the CoP means many countries can now create their own hybrids and carry out their own selection, which they could not do before,” he affirms. And it’s a milestone Chiedozie and colleagues are justifiably proud of: “What we’re seeing is a paradigm shift. In the past there was a general belief that this kind of advanced molecular science was only feasible in the hands of CGIAR Centres or developed-country research institutes – the developing-country programmes were never taken seriously. When the GCP opportunity to change this came up we seized it, and now the developing-country programmes have the boldness and capacity to do molecular breeding and accurate phenotyping for themselves,” Chiedozie confirms. 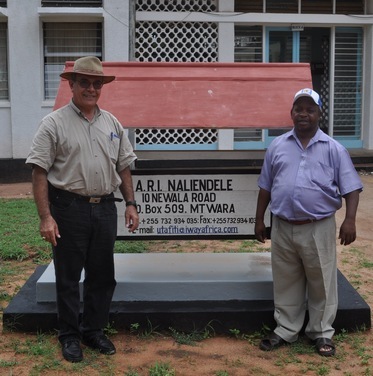 Visitors with working clothes on: NaCRRI Uganda’s Anthony Pariyo (left) and Williams Esuma (right) visiting NRCRI Umudike on a breeder-to-breeder visit in July 2012. 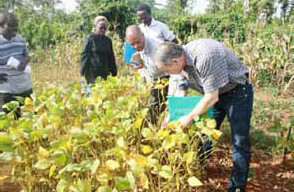 Williams’ postgraduate studies were funded by GCP through the cassava CoP. 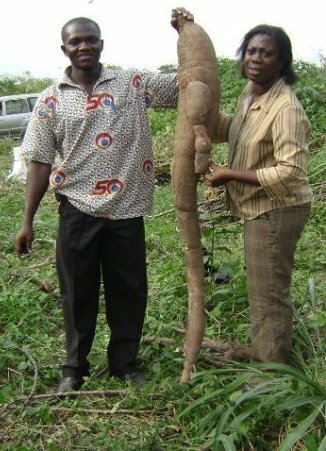 And the beauty of it, Chiedozie continues, is that the cassava crew is going from strength to strength: “Nigeria is seen as a really strong cassava-breeding team, not only within Africa but also globally. And we have not yet realised all the benefits and potential – these are still unfolding,” he enthuses. Also yet to unfold are Chiedozie’s upcoming professional plans, which, he reveals, will soon see him engaging with the USA’s Cornell University, the Bill & Melinda Gates Foundation, the International Institute of Tropical Agriculture (IITA) and Uganda’s National Crop Resources Research Institute (NaCRRI) in an initiative which, through its focus on genomic selection in cassava breeding, promises to be, Chiedozie reveals, “at the frontier of cutting-edge technology.” Genomic selection for this initiative is already underway. Readers intrigued by this tantalising taster of what to expect in Chiedozie’s next professional chapter are encouraged to watch this space over the coming years…Judging by his remarkable research record to date, we feel confident that future installments will not disappoint! Meantime, here’s Chiedozie’s presentation at the GCP General Research Meeting in September 2013. We are also working on videos of Chiedozie and his work. Yet more reason to watch this space! An ‘A’ to our banana team for ushering in a new era in banana genetics. But let soup precede dessert, and don’t let this worry you: stay with us because we’re still very much on the topic and focused on bananas, which offer the whole range from soup and starters, to main course and dessert, plus everything else in between, being central for the food security of more than 400 million people in the tropics: around a third each is produced in Africa, Asia-Pacific and Latin America, and the Caribbean. About 87 percent of all the bananas produced worldwide are grown by small-scale farmers. Moving back then to soup for starters, we’re serving up our own unique blend of alphanumeric banana ‘soup’, spiced with ABCs, a pinch of 123s, plus a dash of alpha and omega. Curious about the ABCs? Look no further:‘C’ for getting to the core of ‘B’ for bananas, and an ‘A’ score for our ace genomics team that did it. 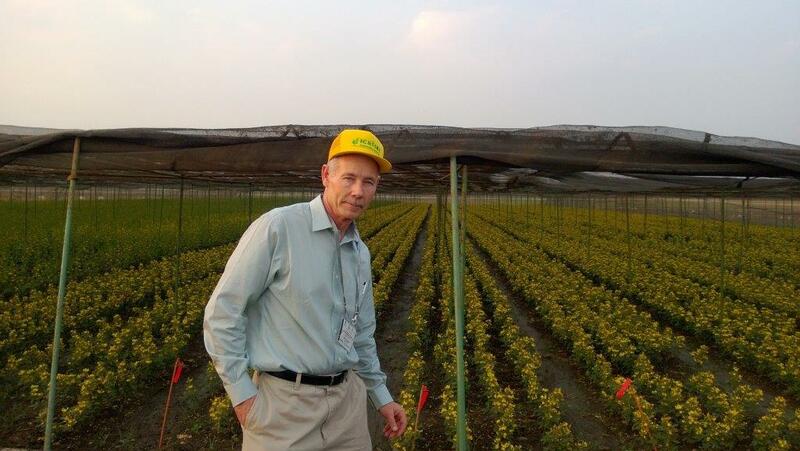 Read how GCP seeded … and succeeded, in helping open a new era in banana genetics. An achievement by itself, and an important milestone on the road to unlocking genetic diversity for the resource-poor, which is GCP’s raison d’être. So get your travelling gear please, for time travel with a ‘midspace checkpoint’ in Malaysia. 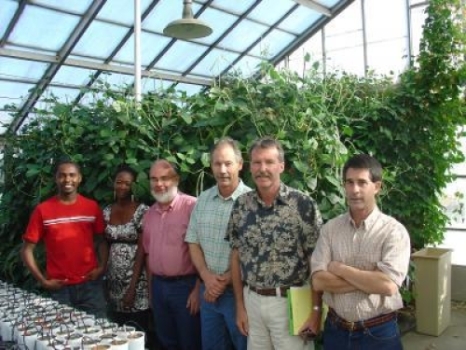 We start in 2004, when GCP commissioned a survey of diversity with microsatellites (or SSRs, simple sequence repeats) for all mandate food crops in the CGIAR crop research Centres. 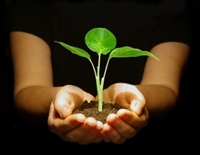 The objective of that study was to make new genetic diversity from genebank accessions available to breeders. 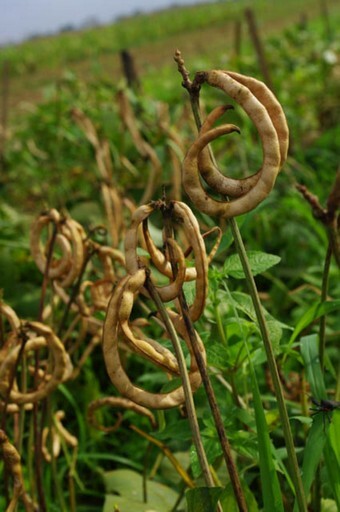 The endpoint is opening new research avenues to incorporate genes for disease resistance, with the added bonus of an article published in Nature online on July 11 2012, entitled The banana (Musa acuminata) genome and the evolution of monocotyledonous plants. It may not be quite as easy as the ABC and 123 that The Jacksons promise in song, but we promise you that the science is just as exciting, with practical implications for breeding hardy disease-resistant bananas. Onwards then to the first leg of this three-step journey! The proof of the pudding is in the eating: we imagine that Jean Christophe Glaszmann just has to be saying “Yummy!” as he samples this banana. 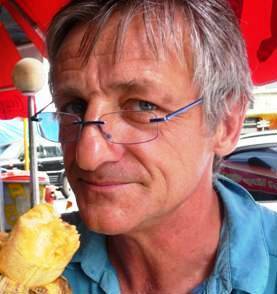 Start point, 2004: “At that time, several research groups had developed SSR markers for bananas, but there was no coordination and only sketchy germplasm studies,” recalls Jean Christophe Glaszmann (pictured), then the leader of what was GCP’s Subprogramme 1 (SP1) on Genetic Diversity on a joint appointment with CIRAD. 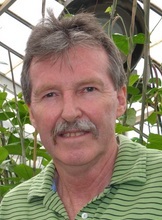 He stepped down as SP1 Leader in March 2010, and is currently the Director of a multi-institutional research unit Genetic improvement and adaptation of Mediterranean and tropical plants (AGAP, by its French acronym) at France’s Centre de ccoopération internationale en recherche agronomique pour le développement (CIRAD) in Montpellier. 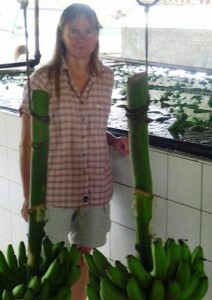 Eight years down the road in 2012, the list of achievements is impressive, as evidenced by a suite of published papers which provide the details of the analysis of SSR diversity and describe how the data enabled the researchers to unravel the origin and genealogy of the most important dessert bananas. The origin of the predominant variety – Cavendish – suggested by the markers, involves two rounds of spontaneous hybridisation between three markedly differentiated subspecies. This scheme has been marvellously corroborated by linguistic patterns found in banana variety names as revealed in a paper published in 2011 in the proceedings of USA’s National Academy of Sciences. But what else happened in between the start- and end-point? 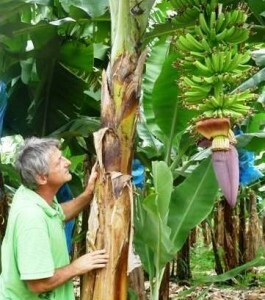 We now get to the really ‘sweet’ part of this bonanza for banana breeding! 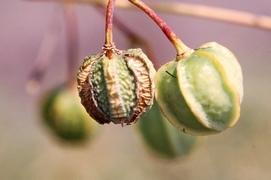 It is now possible to conduct research to identify and incorporate genes for disease resistance within fertile populations that are close to the early progenitors, and then inter-cross them to re-establish sterility and obtain vigorous, disease-resistant and seedless progenies. Threading all these bits together for breeding better bananas is akin to following a trail of breadcrumbs, in which GCP played an important facilitating role: where in the germplasm to undertake genetic recombination is one key; and then, how to expedite incorporation of disease resistance and how to control sterility – so as to first suppress it, then re-establish it – is another set of keys that are necessary for proficient breeding. Hei Leung in the lab at IRRI. 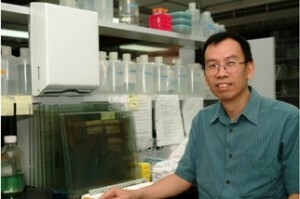 In 2005, Hei Leung (pictured), then Leader of GCP’s Subprogramme 2 on Comparative Genomics (until June 2007) on a dual appointment with the International Rice Research Institute (IRRI), recognised that with GCP’s main focus being drought tolerance in crops, Musa (the banana and plantain botanical genus) was somewhat on the fringe. 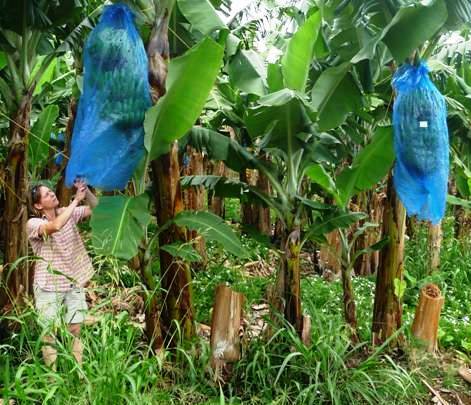 However, it was still important that GCP support the emergence of banana genomics. 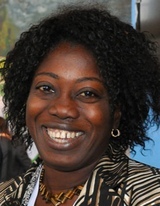 Angélique D’Hont, CIRAD researcher and lead author of the article published in ‘Nature’. Through several projects, GCP helped consolidate Musa genomic resources, contributed to the establishment of medium-throughput DArT markers as well as the construction of the first saturated genetic map. Additional contributions included the first round of sequencing of large chromosome segments (BAC clones) and its comparison with the rice sequence and a detailed analysis of resistance gene analogues. All these findings have now been published in peer-reviewed journals. And while publication takes time, it still remains a high-premium benchmark for quality and validation of results, and for efficient sharing of information. It reinforces the value of collaboration, builds capacity and gives visibility to all partners, thereby providing potential new avenues for funding. Such was the case with bananas: using a collaborative partnership framework established with the Global Musa Genomics Consortium, animated by Nicolas Roux and now chaired by Chris Town, the community developed a case for sequencing the genome. With the mentorship of Francis Quétier, contacts were made with various major players in genomics, which in the end formalised a project between France’s CIRAD and CEA–Genoscope, funded by the Agence Nationale de la Recherche and led by Angélique D’Hont (pictured) and Patrick Wincker. Three years down the road, the team published a description of the genome of a wild banana from Malaysia. Let’s drill down to some technical facts and figures here: the Musa genome has some 520 million nucleotides distributed across 11 chromosomes, revealing traces of past duplications and bearing some 36,000 genes. While most genes derived from duplication tend to lose their function, some develop novel functions that are essential for evolution; bananas seem to have an outstanding range of transcription factors that could be involved in fruit maturity. And while the road ahead remains long, we now have a good understanding of banana’s genetic diversity, we have genomic templates for functional studies (a whole-gene repertoire) as well as for structural studies (the chromosome arrangement in one subspecies) aimed at unraveling the genomic translocations that could control sterility in the species complex. 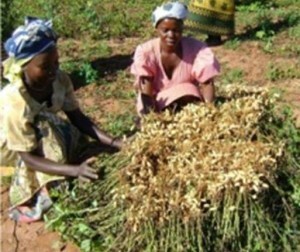 This is undoubtedly an inspiring challenge towards unlocking the genetic diversity in this crop, which is central to food security for more than 400 million people in the tropics.